Residents of North Kilworth, a small village nestled in the leafy south Leicestershire countryside, have taken part in an innovative scheme to embrace energy efficiency. Establishing a Community Interest Company called Village Power was the first step along the path towards the village becoming more sustainable by addressing issues surrounding energy efficiency. The group has been looking into various ways to help achieve this, and one such project involved the use of energy monitors. Basically, energy monitors do what they say on the tin – they show the amount of electricity generated and used in real time. Some sixty properties were fitted with Energeno’s Wattson energy monitors, as part of the scheme funded by the Local Energy Assessment Fund (LEAF) to help the village cut its collective carbon footprint. Village Power CIC successfully secured £36,000 of funding from LEAF, who provide funding to community groups in England and Wales to help them understand the benefits of energy efficiency and what they can do to reduce the amount of energy being used. The energy monitors are very simple to use and work to draw each households attention to their energy usage and hopefully inspire them to become more energy efficient. 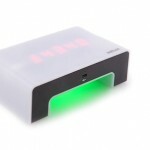 When energy consumption is high, the device displays energy being used in red. When it’s low the lights are blue. The community opted for the Wattson energy monitors largely due to their visual impact. After just two months the energy monitors have had a rather dramatic effect, helping residents to change their consumption patterns and behaviour towards energy use. Two thirds of residents said the amount of energy they were using had changed for the better and nine out of ten said they would definitely recommend energy monitors to family and friends. “North Kilworth is a rural community that is highly dependent on fossil fuel energy. The LEAF funding helped residents consider energy efficiency, the measures necessary to reduce energy consumption, and carbon emissions, to ultimately save money,” said Stuart Dainton from Village Power CIC. “As a village that is trying to be as energy efficient as possible, we are always looking at ways to inspire people to make changes in their lives. Providing energy monitors has been a great way of doing this,” he added. Reductions in energy, cost and carbon will be monitored by Village Power CIC and the data will help the group to determine what future measures and projects need to be implemented to encourage households to continue the energy efficiency drive. Village Power CIC is run by a group of local residents and is dedicated to making improvements. Aside from the energy monitors, other projects undertaken have included energy surveys and a renewable energy report. A perfect example of a community putting power in the hands of its people.